Professionals throughout the United States are beginning to express concern over the nation's current infrastructure deployments. Economists and labor organizations alike are urging municipalities to reevaluate their financial benchmarking and deduce whether or not reconstruction of roads, substations and other assets can begin as soon as possible. The American Society of Civil Engineers recently released a report stating that over 200 million trips are taken on a daily basis across deficient bridges in 102 U.S. metropolitan locations. The average age of the nation's 607,380 structures stands at 42 years old. The report noted that in order to resolve this issue, the U.S. would need to invest $20.5 billion annually over the next 14 years. In addition, the ASCE noted that highways from coast to coast require significant improvement. The spend management teams of federal, state and local governments need to assess the costs of acquiring materials necessary for stronger, wider road structures. The report stated that America's major urban highways are severely congested, costing the nationwide economy nearly $101 billion in wasted time and fuel on a yearly basis. Although municipalities are investing $91 billion in reconstruction initiatives every year, the Federal Highway Administration told the ASCE that an additional $79 billion is required in order to improve conditions. Although investments in smart grid technology and renewable energy remain steady, the U.S. electric grid isn't up to the standards engineers would like. Vendor managed inventory has given utilities a better perspective over their assets, but the rate at which these materials are being acquired isn't fast enough. 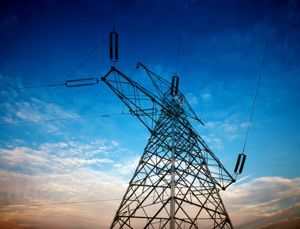 Mike Collins, a contributor to Manufacturing Business Technology, identified the primary problem as being that the demand for power has surpassed the construction of transmission lines by 25 percent per year. An increase in consumer need for electricity is intimidating, but it's the age and design of America's 300,000 mile-long grid that concerns Collins. Large sections of the architecture are tied together by electrical inter-locks in order to protect the equipment. In the event that one of these assets becomes overloaded or breaks, the infrastructure will begin shutting itself down. In order to satisfy future demand and ensure that rolling blackouts no longer occur, it's imperative that grid participants integrate microprocessors into the procurement process. If these devices are implemented throughout all facets of the system, it could save the U.S. about $49 billion in blackout expenses a year.